I don't consider those rankings indicative of anything coming in the future. Some data went into the index without all of our quality signals incorporated, and it should be mostly back to normal and continuing to get back to normal over the course of the day. Google glitches often reveal engineer intent, and based on that, http://216.239.59.104/ is a !!! fascinating data center right now. sites with a lot of usage data (possibly through brand awareness and related searches driven by advertising and/or affiliate traffic?) getting a bit more of a ranking boost than they would not have seen based on the PageRank model. Probably even more important than that ranking reshuffle is the appearance of universal search...everywhere, with the volume at #11 (or maybe 12?)! 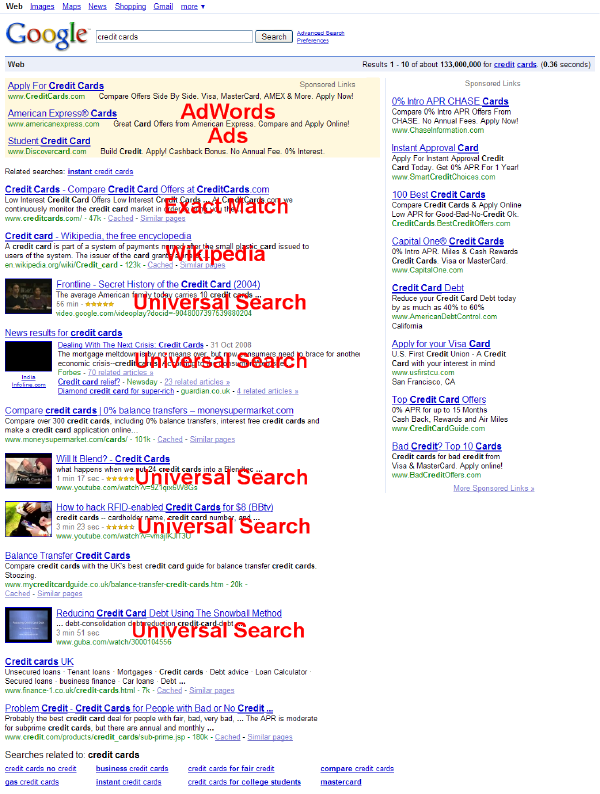 Just take a look at this search for credit cards...if you are not an AdWords advertiser, are not in universal search verticals (like news and video), and are not wikipedia, then you don't have many organic search results that you can rank for on the first page. Other search results I looked at had a similar bias toward universal search - with heavy promotion of Google shopping results, Google books, videos, etc. 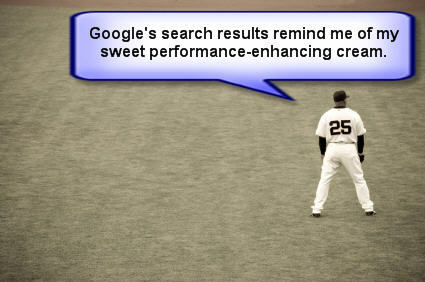 Will a #1 Google ranking still be worth a lot of money? Absolutely, but the gap between winners and losers will grow much larger. If you were planning on getting a bit of traffic by ranking #5 or #6 in the organic results, that listing may end up on page 2 of the search results...yielding virtually no traffic. Why would Google consider making such a large shift? 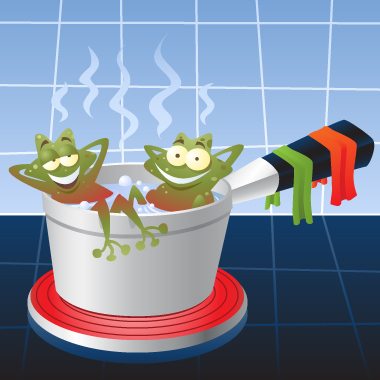 * While the frog analogy has been debunked, it is still a memorable analogy, which is easy to use to describe gradual change. 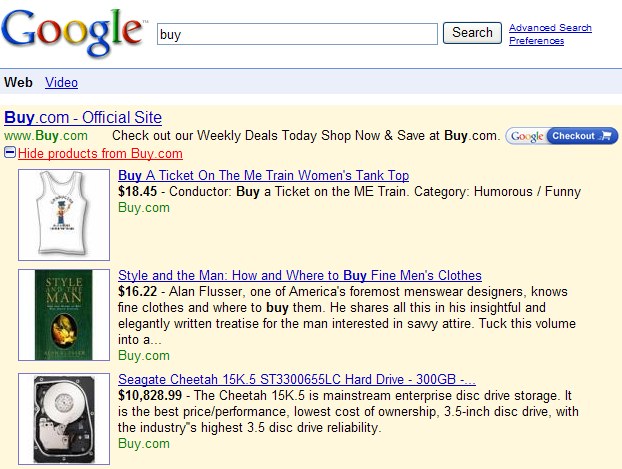 As Giovanna noted on PPC blog, Google Checkout is spreading, and AdWords is becoming richer and more interactive. Some of the other universal search products (particularly local search, book search, music search, and shopping search) will present Google with more revenue options. If your site is fairly close to what it takes to be considered in some of Google's verticals - like Google news, then consider upping your game a bit and submitting an inclusion request. Try to make some video content. Not good for everyone, but most sites could use some, and the competitive bar with video is much lower than it is with text - though I wouldn't expect it to stay that way for more than a couple years. If you have some top rankings that are bouncing around consider focusing on promoting that content again - when stratification occurs you are going to be better off focusing on owning a few ideas rather than being average to slightly above average at many. Top ranked sites also benefit from self-reinforcing rankings. Read up on cumulative advantage if you have not yet done so. I indicated in my last comment that things will be normal in a few days, that seems to be true now. BTW Aaron – where’s that post? The post was sorta speculative, and potentially not correct given the big changes going on at Google that Matt later commented on... so I de-published the old post...as noted at the top of this post. This must cost you quite a bit of traffic Aaron. I know you have a loyal following here, and a lot of your traffic come from repeat visitors, but this must cost you new visitors. Seeing this all over Google now - for all kinds of search terms - videos, news, books, and of course Wikipedia entries galore. Personally when I search I want to see more unique results. I don't care for video matches. I really don't want Wikipedia in every search result (though it is useful in SOME searches, but definitely not all - why not pop-up if you search for "define SEO", "SEO definition" or something?). I wonder if this aggressive universal search will turn people off using Google as a search engine. It will be interesting to see Google's share of search usage in the next few months and if universal search is turning others off Google. Also I think the search results page is looking more cluttered with universal search - it's that bit harder to scan the page for text with your eyes as results are no longer aligned perfectly. The keyword 'SEO' does not drive as much traffic as one might expect...most of our head keywords that drive good traffic are brand related. And the generic search has very little implied intent...it is more of a discovery phrase search from a person who is not yet ready to buy anything. I think if Google made this dramatic of a shift all at once it would turn some people off, but some of this stuff will role back and these changes will be dialed up over the coming months and years. just wait for knol to become commercially viable the you'll see pretty much most of page 1 will now contain google franchise results with anything non-google generated being dumped onto page 2 - sad times. hmmm surely there will be some long term repercussions of universal search if they wipe out half of the organics? Aaron, regarding the business of search, I agree with many of your points especially those that mention how monetization of SERPs is ever expanding. Universal Monetization is likely the "in-house" name for Universal Search. I disagree that Google gave spam a second thought and point 1 is IMO, more about giving users what they want then "making the web more interactive hoping to eventually replace (or at least heavily augment) offline media distribution via television and other outlets (their real competition". Widespread availability of cheap broadband has people demanding a more interactive experience. We couldn't do it in the past because of speed... now... it's a new ballgame where user expectations and desires are concerned. I think Google is always concerned with spam (and trying to reward and promote quality while making spam less profitable)...Matt Cutts is one of their top 4 engineers, and if a public relations fiasco starts on the weekend he usually catches it. I don't think people demanded seeing video in the search results, but after Google bought the category leader they thought cross-promotion was a good call. Them being able to siphon off some % of organic search clicks to any vertical they want allows them to keep creating new verticals and make business arrangements that lock the market leaders into a partnership with them.